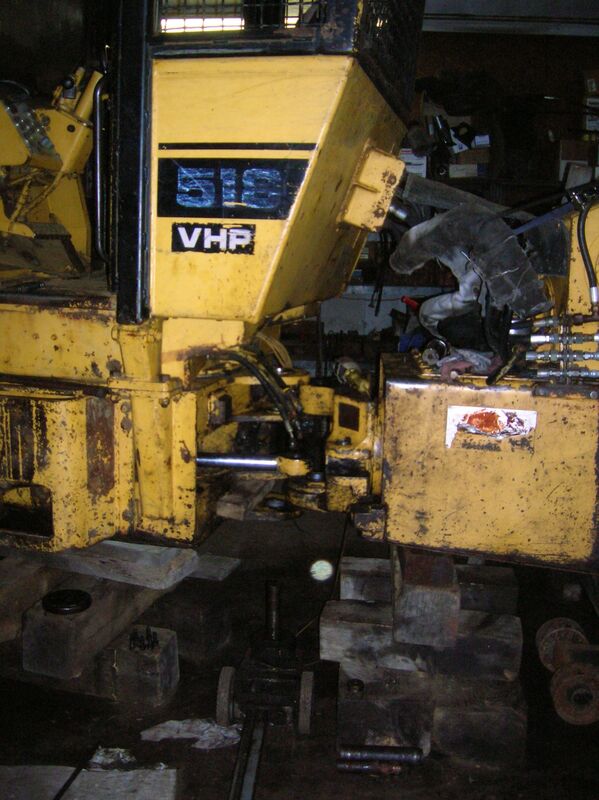 If you want to make a big machine appear even larger, just stuff it in the garage. 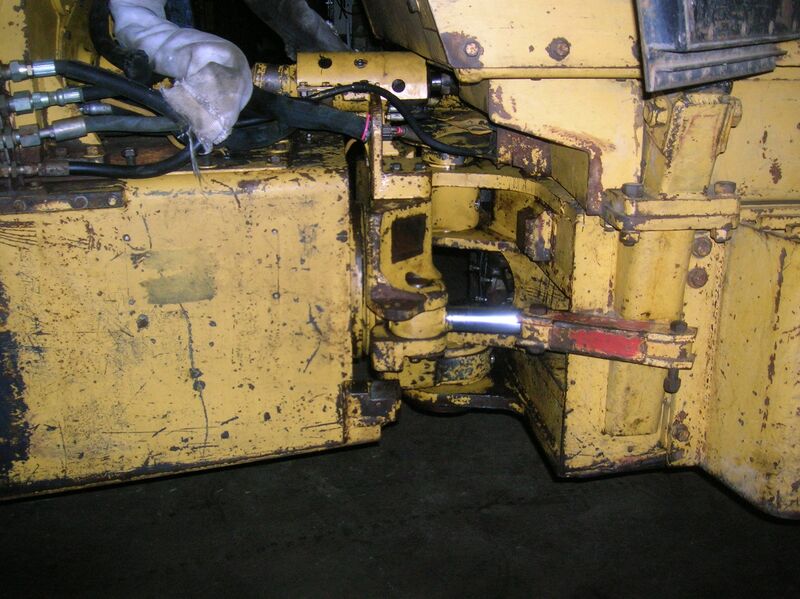 The center driveshaft broke on this skidder, and while it was driven out of the woods on the front end, a two-wheel drive tractor won’t pull much wood. The culprit. 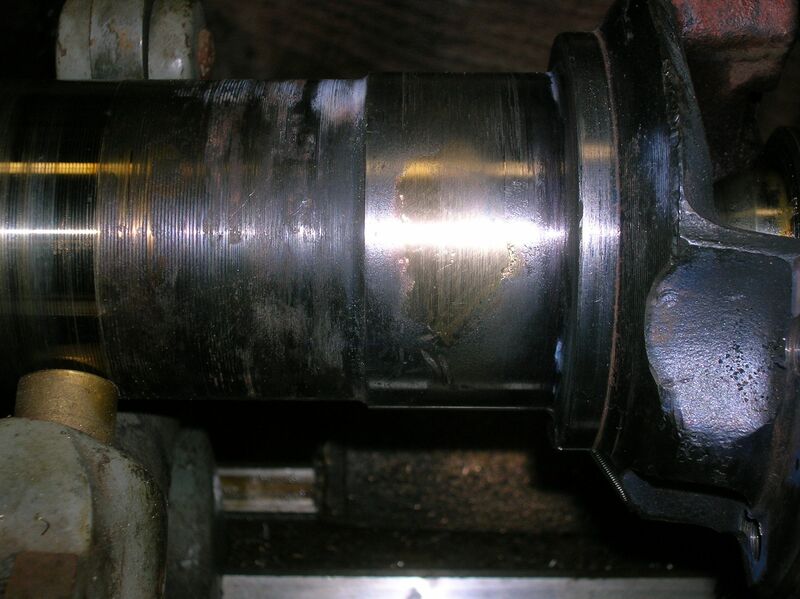 This shaft runs through the center trunnion, or oscillation bearing. It goes in the middle there, somewhere. Mainly to the left of that shiny thing. The splined section is the back half of the broken piece. It’s a solid press fit into the center bearing. The tag suggest that if one removes the labeled bolts without caution, the back half of the machine might crush the mechanic. Old and good used replacement. Cat parts are usually easy to come by, but they don’t give them away. 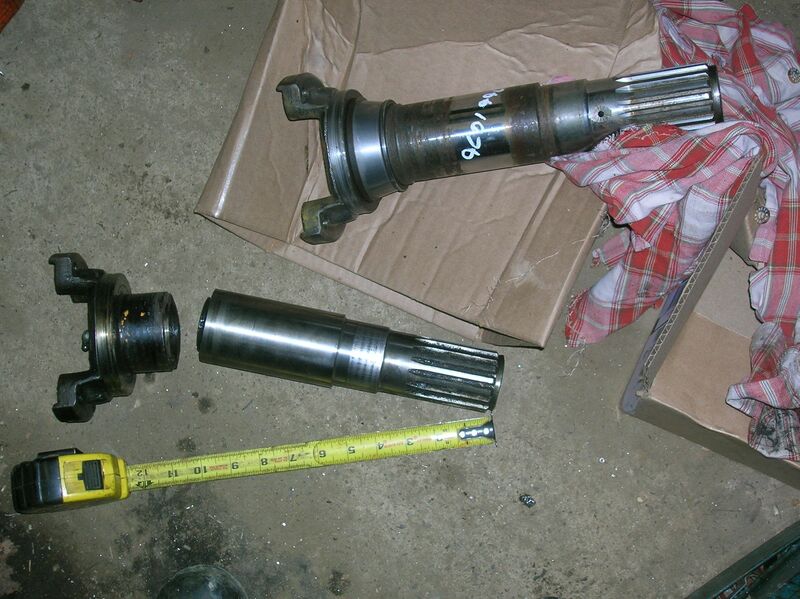 Someone (who shall remain nameless) nicked the shaft while removing the old bearing race with the gas axe. 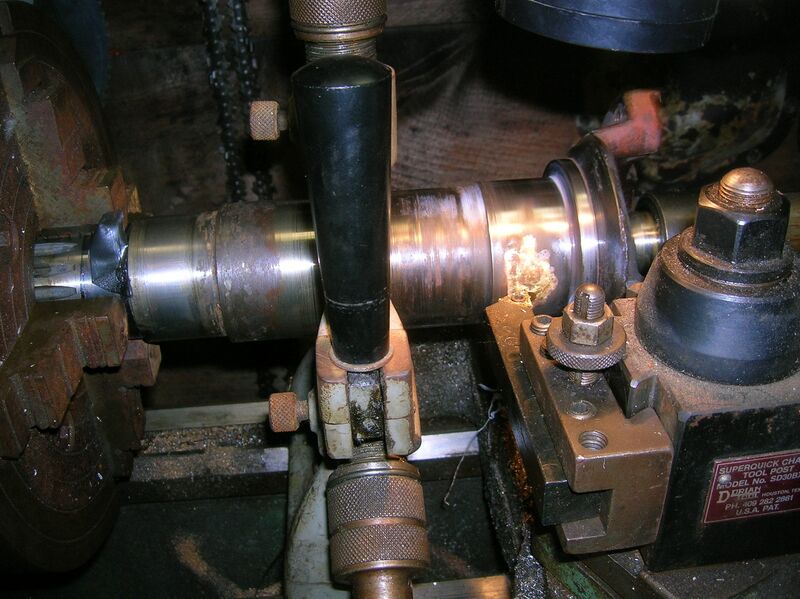 No worries, we’ve got brass and a lathe. While it was in the shop, we decided to take a look at the center pins and bushings. 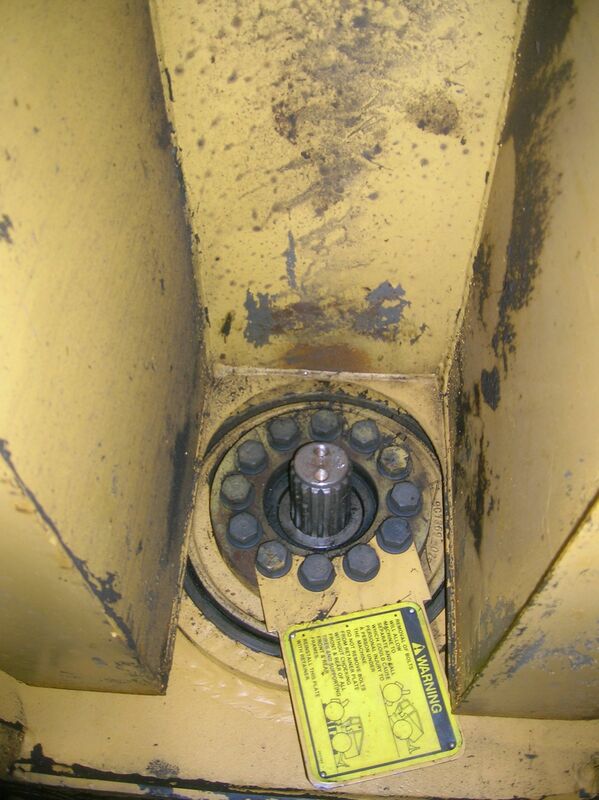 The lower pin retainer was constantly coming loose, and if the operator bounced the grapple, it was apparent that there was some play in the center. Not excessive, but probably enough to eventually stretch the bolts and cause them to fall out. 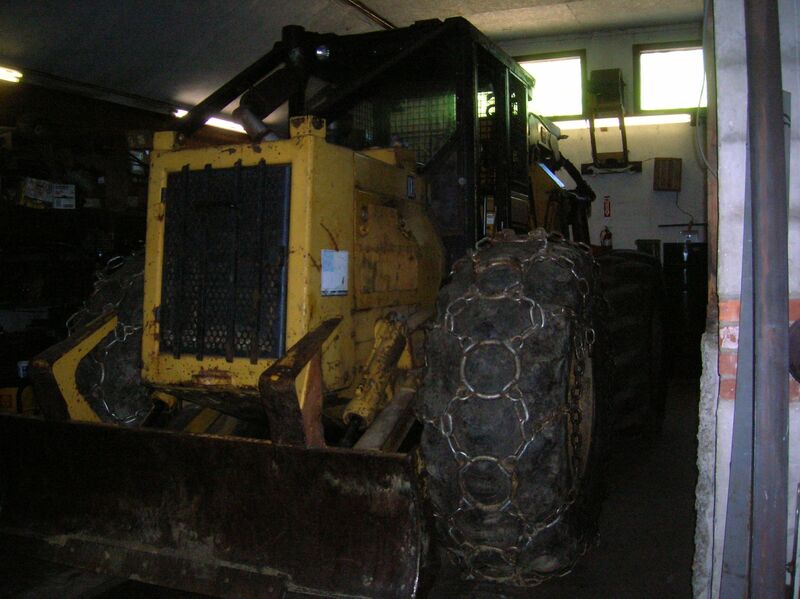 Not sure on the actual weight of this skidder, but each end is extremely heavy, and requires careful blocking so as to keep things from getting dangerous. 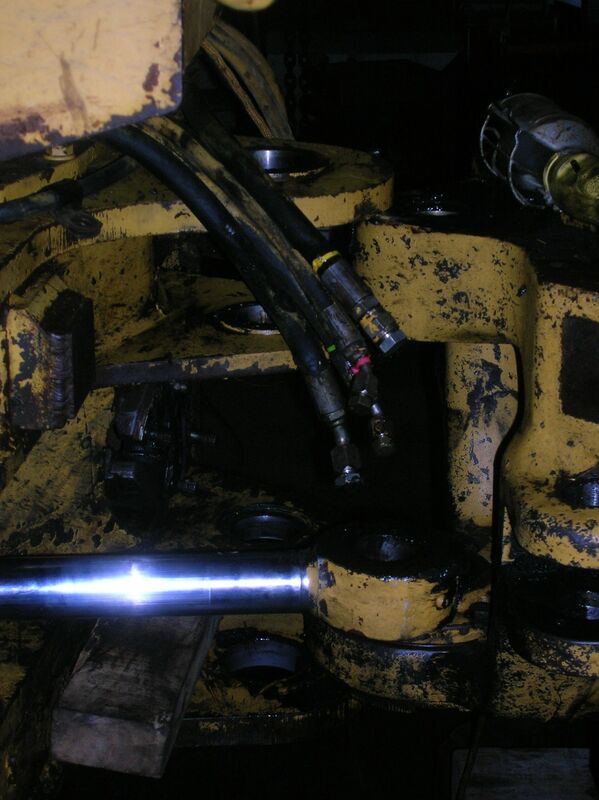 Not the best photo, but you can see the pin bushings to the left near the hoses. The second one down was a doozy. I carefully removed it with a torch. 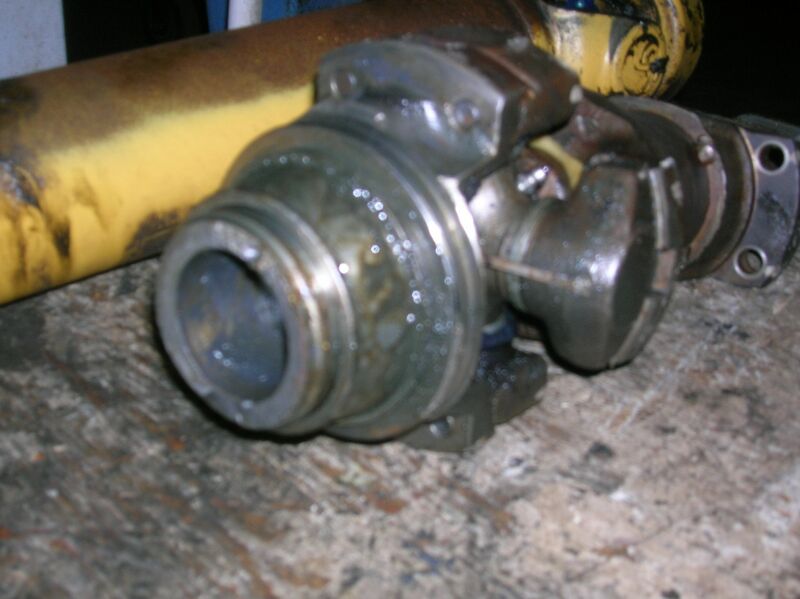 To replace, the manual stated that the new bushing should be ‘cooled to -90 degrees F’. So we chilled it in liquid nitrogen, and then pulled it in using the hollow center ram from my shop press. It took most of the 20 ton capacity. Perhaps we should have let it soak longer in the chiller…..
Also notice that the machine halves are only pulled far enough apart to get the job done, and no further. As it turns out, the back half was rear heavy, and would have flopped backward if it was not still contained by the center pin tabs. All back together, and off the blocks. Despite 20k hrs on the meter, the pins and bushings weren’t too badly worn. 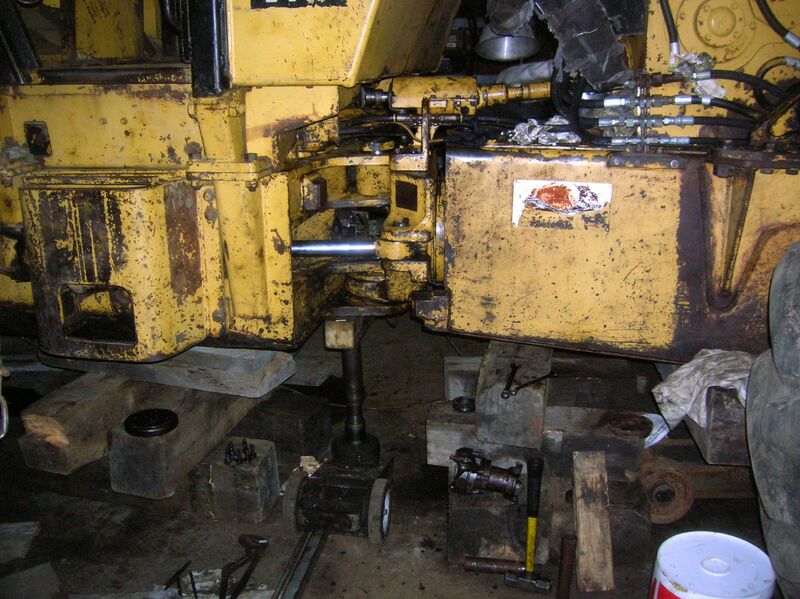 Just enough movement to loosen the lower retainer bolts. That problem appears to have been solved with the new center parts. It pays to grease all fittings on a regular basis.